Recently, populists and nationalist groups and governments have called into question the momentum gained by institutionalised global cooperation. In this Policy Brief we argue that inductive global governance is a bottom-up mode of organising global collective action that has been successful in addressing certain global challenges and should be reinforced. Furthermore, it can also so be very useful to counter populist attacks on global governments through argument, resilience and efficiency. We use the Paris agreement to illustrate inductive governance in several dimensions, and also refer to other global issues where bottom-up governance is working: the 2030 Agenda and Internet Governance. Inductive governance differs from traditional modes of international governance in several aspects. The latter can be considered strengths as regards the populist attack on international institutions, as they connect the global level of governance with civil society, public opinion and subnational governments, and they contribute to a more efficient and accountable use of public resources. These aspects are: participation and dialogue, efficiency, government control, accountability, resilience and private funding. Consequently, we recommend the G20 to foster an increasing inductive or bottom-up global governance in the sense of improving the acceptance and social support for government coordination and IGO activities. This can be done by improving social awareness and networking around the issues of concern of the G20, seeking voluntary agreements between governments rather than international treaties, raising support from non-governmental actors and subnational governments to reinforce such agreements and following up on implementation through multi-stakeholder coalitions. Global governance is being challenged in many fields by the populist attacks against globalisation that are influencing the attitudes of certain governments. Recently, populists and nationalist groups and governments have questioned the momentum of institutionalised global cooperation (Avant, Kahler & Pielemeier in CFR, 2017). In recent decades, global governance has faced other challenges such as a demand for greater participation, the complexities of the issues being addressed and the worldwide responsibility for decisions taken or to be taken. By involving civil society organisations, experts, academia and subnational governments, along with the traditional actors of international governance (national governments and inter-governmental organisations), global governance is managing to overcome these difficulties in certain domains, as shown by the cases of the Paris Agreement on Climate Change, the UN 2030 Agenda for Sustainable Development and the Internet Governance, among others. There is a change in the way that certain aspects of global governance are being conducted, which could be described as ‘inductive’ or bottom-up governance. It does not imply the end of intergovernmental or supranational governance but rather a way of reinforcing and complementing it. It makes global governance more participative, more adapted to our digital times and more resilient to political instability. In a nutshell, the main difference is that states lose their exclusive monopoly on global governance. Inductive global governance (Ortega, 2016) is a bottom-up mode of organising global collective action, so that the identification of the issues to be addressed at the global level, the content of the international agreements reached and the follow-up of their application at the national level rely on the initiative and active participation of non-governmental and subnational actors. This mode of governance responds to a change in the way governments interact, and to the new weight gained by IGOs, sub-state units, cities, hybrid organisations and entities, businesses such as multinational corporations, NGOs, trade unions, foundations and philanthropic organisations, and citizen movements, experts in academia and think tanks. Some of these actors could be considered ‘global governors’ as they ‘exercise power across borders for purposes of affecting policy’ (Campbell in CFR, 2017), and they are stakeholders, sometimes ‘coalitions of the willing’ (initially composed only of states) in the new global governance. They usually make an intensive use of Internet for information and advocacy purposes, and they have gained a new dynamism thanks to the Web. This has been going on for a decade. Inductive governance differs from both integration –the usual inter-national way– and from coordination, which is typical of the G20 process and G-7 meetings. Such an approach is helpful in countering populist attacks on global government by way of argument, resilience and efficiency. Inductive governance differs from traditional modes of international governance in several aspects that can be considered strengths by themselves and as regards populist attacks on international institutions: they connect the global level of governance with civil society, public opinion and subnational governments, and they contribute to a more efficient and accountable use of public resources. Participation and dialogue: global governance in the complex present day implies a multitude of actors in hybrid arrangements. Different channels (such as politics and NGOs) make citizens and civil society participate in conforming global governance, bringing their sensibilities and worries and thus hindering the backlash against globalisation and global governance. Internet favours this. Such coalitions of the willing (often including states) have been set up in a number of areas, from climate change to human rights and Internet governance to arms control, among others. They increase the chance of reaching agreements and encourage dialogue for that purpose. This kind of participation could help counter, in political terms, the populist criticism of concrete global governance and globalisation. Efficiency: although these participatory initiatives might encounter coordination problems, they could help muster more knowledge –including wiki-knowledge–, especially at the local level, and also prove in some instances that private or non-governmental global governance can work. The rise in private authority does not inherently diminish public authority, as many private regulators have transparent written rules and openly monitor compliance; it is not a zero-sum game and they often depend upon public authority as an enabler or enforcer (Büthe, 2010; OECD, 2018). Government control: governments should not worry. Inductive governance does not go against intergovernmental governance but complements it in setting global agendas, designing goals and controlling implementation. Accountability: indeed, inductive governance makes governments more accountable to public opinion and transnational civil society. It can reinforce the control over the implementation of agreements by linking the global and local levels, although nonbinding agreements and multi-stakeholder settings can make accountability more difficult. Resilience: if a major government does not want to participate or withdraws, not only can the other signatories carry on but also different participants in the withdrawing country. Financing: at a time of general austerity in public spending, global governance may have to resort to private financing and, in particular, philanthropic funding. But those paying for it will want to participate in designing its goals, means and implementation. Inductive governance can fill the gaps. 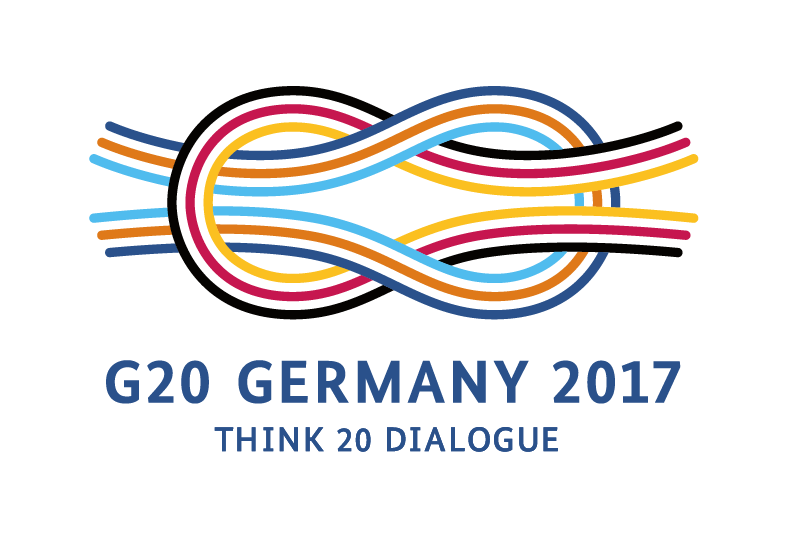 The G20 has organised inputs from civil society through the T20, the B20 and other engagement groups. These act as inputs to G20 discussions, but the most innovative examples of inductive global governance show that there might still be room for further multi-stakeholder participation, for instance, by contributing to the output of G20 discussions or monitoring the implementation of its decisions and communiqués. Additionally, engagement groups could be used as the core nucleus spearheading or initiating global multi-stakeholder agreements in areas in need of global collective action. Inductive governance was already applied in designing the 2030 UN Sustainable Development Goals and in reaching the Paris Agreement on Climate Change and is starting to be implemented –not only in negotiations but also in executing decisions– in the governance of Internet. The change responds to the growing complexity of both the global system and the issues it involves, and the insufficiency of governments and international organisations, and also to the new possibilities brought about by Information and Communication Technologies (ICTs). A whole-of-government approach in the intergovernmental process, at the national level led by heads of state and government. A symbiotic alignment of state and non-state actors to form a purposeful multi-stakeholders process informed not only by efforts to create a cooperative framework but also by competitive market and political forces. A hybrid structure for intergovernmental agreement with a combination of legal and voluntary provisions, a blend of pragmatic and aspirational elements, and a built-in upward ambition trajectory. A strategic orchestration by traditional international organisations (Abbott & Snidal 2010) of a broad range of actors towards the above three innovations. De Burca, Keoahane & Sabel (2013, 2014) introduced the concept of “experimentalist global governance” as a process of participatory and multilevel problem solving in which particular problems, and the means of addressing them, are framed in an open-ended way and subjected to periodic revision by various forms of peer review in the light of locally generated knowledge. According to these authors, the involvement of civil society organisations and the connections between the local and global levels are the key to effectiveness of this kind of governance. We address three recommendations to the G20 oriented to foster inductive global governance and use three recent examples to illustrate the potential of this approach: the Paris Agreement, the 2030 Agenda and the governance of the Internet. The G20 can push for increasing inductive or bottom-up global governance with the prospect of improving the acceptance and social support for government coordination and IGO activities. The indictive governance system follows the changes in our digital societies in which internal and external communications are bringing new possibilities, and could help design G20 -and other global- policies, with a workable approach. It would also be a pressure to monitor the implementation of G20 communiqués. The following are some recommendations for the G20. Improve social awareness and networking around the issues of concern to the G20. Creating theme-based multi-stakeholder concerts in different areas of global governance (Orr, in CFR, 2017) in addition to the 20 formations. Perhaps using an issue-specific subset of each engagement as a starting multi-stakeholder coalition. Designating IGOs as coordinators of these networks according to thematic specialisation. Using the Internet for sharing information and supervising implementation. Also, engaging in the democratisation of the Internet and its use in combating corruption and promoting Human Rights. For that, access to Internet and technology should be democratised (Go for Technological Justice. Ortega, Andrés, Turianskyi 2018). Encouraging public-private cooperation for financing these networks. Considering the input of these networks in setting G20 agendas. The Paris Agreement might inspire the G20 in the way networks can support policy progress on its issues of concern. The vast majority of countries –170 of 195–, plus the EU, present at the COP 21 Paris summit in 2015 (and at others afterwards) filed national plans for reducing greenhouse gas emissions a week beforehand. On this occasion, the obligations sprang from the countries themselves, sometimes spurred on by their own public opinion. Civil societies became very much involved through NGOs, think tanks and other organisations, including scientists, on the way to Paris and in subsequent meetings. At its inception, and its implementation, the agreement gave a role to non-state actors, calling for engagement at each annual climate-change conference at least up to 2020. Some of these actors are organised in international or national coalitions, like the Climate Action Network (CAN) or We Mean Business, both of them international NGOs. Subnational governments are also highly involved at various jurisdictional levels (Fiorini, in CFR 2017). In this respect, the roles played by cities, essential in this type of governance as they are the largest emitters, should be highlighted. There is the C-40, a Climate Leadership Group, which is a network of more than 80 mega or large cities committed to addressing climate change. And the agreement calls for the empowerment of women and intergenerational equity in the fight against global warming. The Paris agreement rests upon the UN system, particularly the UN Framework Convention on Climate Change (UNFCCC). As for financing and funding, the agreement calls on governments to continue providing public finance through the official Green Climate Fund, while individuals and entities also play a major role. Bill Gates announced a US$2 billion fund to invest in clean energy, financed by the Breakthrough Energy Coalition (BEC), a group of 26 global philanthropists and the University of California. The BEC, according to Anne Marie Slaughter (2015), “heralds a new level of public-private partnership, with the investors working with the governments of some 20 countries –including China, India, and the US– that already account for roughly 80% of global investment in clean energy and have now pledged to double their investments”. The process also reflects a new kind of governance in the way the agreement was saved after US President Donald Trump announced he was withdrawing from it. The rest of the signatories stood by it. But also, some parts of the US, in a kind of sub-state global governance –California, New York, Washington and a dozen other states, including two with Republican governors plus cities, including the 10 largest, such as the Big Apple itself and Los Angeles as well as the capital, Washington DC, and some large companies– signed up to a coalition known as the United States Climate Alliance to comply by the Paris Agreement. They account for 30% of the US economy and a population of more than 52 million. In terms of carbon emissions, however, these states account for only 18% of the US total, because the most polluting (headed by Texas) are with Trump. Amazon, Apple, Facebook, Google, and Microsoft, and almost 2.000 businesses are part of the We Are Still In initiative. While international treaties are difficult to ratify by a significant number of countries and concern only national governments, voluntary agreements can be more efficient, flexible and participatory. Non-binding agreements may be reinforced by raising support from non-governmental actors and subnational governments. Monitor the compliance by G20 members of their commitments in the G20 framework. Control the implementation of G20 decisions, also using the OECD, the T20, other engagement groups and other international organisations and academic and NGO networks. The most ambitious international agendas rely on voluntary commitments. Slaughter has analysed the Paris Agreement from the perspective of its enforcement and rules out the idea of compliance as a stamp of legality or illegality. No penalties have been foreseen for countries who breach it –although until recently the EU itself was built without sanctions, which it subsequently had to introduce–. Many of the accord’s elements are based on voluntary commitments. But there is a compliance mechanism, that is “expert-based” (climate scientists, policy experts and lawyers), and that also uses ‘naming and shaming’. It is ‘facilitative’, functioning in a manner that is ‘transparent, non-adversarial and non-punitive’. Also, the 2030 Agenda is made of 17 voluntary goals, but it was launched along with a new accountability framework for global action. It consists of a bottom-up multi-layered and multi-stakeholder framework of indicators which are followed up at the national and global levels, actively involving actors different from governments and IGOs. Transparency and openness are key principles in the system and thus CSOs and public opinion are expected to reinforce the Agenda’s accountability. Also, UN bodies and agencies are organising multi-stakeholder events and exchanges on a sector basis, seeking to mobilise expertise and support from practitioners and scholars on a sectoral basis. Putting information gathering and implementation control at the lowest level possible, applying the European idea of subsidiarity to global governance. Relying on IGOs for the coordination of information systems on implementation. Institutionalising follow-up and mutual evaluation routines. Involving experts, NGOs, sub-national governments, businesses and the media. The 2030 Agenda is also an example of how IGO-led multi-stakeholder coalitions. A UN System Task Team established by the UN Secretary-General orchestrated a network of participation and support to design the new development agenda, involving numerous civil society organisations, academia and the private sector. The connected over 60 UN bodies with experts, practitioners and NGO representatives, through various activities that complemented the inter-governmental meetings formally responsible for the definition and adoption of a new agenda. The activities included a High-Level Panel of Eminent Persons, working groups on partnerships, monitoring and indicators, the commissioning and participatory discussion of numerous papers, and the organisations of preparatory symposiums and side-events in connection with formal inter-governmental meetings. Internet Governance has also developed in a highly inductive way, both in global and transborder terms (Donahoe, in CFR 2017), based on the initiative of civil private initiatives (after being launched as a military project that then passed on to civil society). The creation in 1998 of the Internet Corporation for Assigned Names and Numbers (ICANN) –originally contracted by the US government– was a key moment in that direction. One of the problems is that security concerns –cybersecurity, even more so in the Internet of Things, and controlling disinformation– are undermining the multi-stakeholder governance of Internet in favour of more national sovereignty, and not only in countries that want to control their citizens’ use of the web and social media but also by liberal ones, like the US, Brazil and even Germany, where concern at its disruption of democratic processes is on the rise (Donahoe, in CFR, 2017). Despite of these challenges, the Brazilian-led Global Multi-stakeholder Meeting on the Future of Internet Governance (NETmundial) in April 2014 concluded that multi-stakeholder governance of the Internet is feasible and preferable to traditional multilateral governance models. However, countries like China have said they want to participate in the global governance of the Internet and preferably through a traditional purely state-dominated process via the International Telecoms Union. States are also beginning to demand that inductive governance be applied, for instance, to combatting jihadist terrorism, which uses the Internet as a forum for recruiting and training its militants. It is essential for platforms such as Google, Twitter and Facebook, to mention only the best known, to cooperate in the struggle, as Britain’s Prime Minister requested in the wake of the attacks in Manchester and London in 2017. Twitter and Facebook try to help by deleting communications of yihadists, so global governance is no longer the exclusive province of nation states. Although they will continue to be crucial, they need the help of other actors, and these actors can sometimes turn against national governments if they do not see eye to eye. Scientific communities informing the implementation of the Paris Agreement. Mobilising scientific knowledge. Strengthening the interaction between intergovernmental bodies and scientific communities. Fighting disinformation. Cooperation is needed, with the participation of networks of voluntary media, journalists and citizens, plus governments, and cooperative help for media and social networks and media alphabetisation for citizens. Immigration governance. Civil societies in sender and receiver countries, can coalesce with international organisations, governments and NGOs at the national and, very importantly, local levels. Tax cooperation, seeking coalitions of multiple actors, from governments and international organisations, like the OECD, to private financial companies and transparency advocacy NGOs. There is a role for intergovernmental bodies connected to the G20, like the Financial Action Task Force and the Global Forum on Information Exchange for Task and coalitions of multiple actors. Implementation of the UN’s SDG goals. Transnational CSOs are already involved in following-up SDGs. The national chapters of these entities often influence the definition of implementation plans at the national level and connect with local NGOs The G20 could also interact with focal points in each Member State and at the UN level, for instance, by gathering them in a new 20 formation. Technological cooperation. There is a need for the participation of private and public international organisations, private companies and research centres, which should work as networks. Abbott, K., D. Snidal et al. (2010), ‘International regulation without international government: improving IO performance through orchestration’, Review of International Organizations, Arizona State University. Büthe, Tim (2010), ‘Private regulation in the global economy: a (P) review’, Business and Politics, vol. 12, nr 3. Cerf, Vint (2018), ‘Rebuild internet governance now, before it is too late’, Financial Times, 20/III/2018, https://www.ft.com/content/e1e6d1e0-156c-11e8-9c33-02f893d608c2. CFR (2017), Innovations in Global Governance: Peace-Building, Human Rights, Internet Governance and Cybersecurity, and Climate Change, contributions by Deborah Avant, Susanna P. Campbell, Eileen Donahoe, Karen Florini, Miles Kahler, Mark P. Lagon, Tim Maurer, Amol Mehra, Robert C. Orr, Jason Pielemeier & Sarah Sewall, https://www.cfr.org/report/innovations-global-governance. De Burca, G., R.O. Keohane & C. Sabel (2013), ‘New modes of pluralist global governance, New York University of International Law and Politics, forthcoming, p. 1-61. De Búrca, G., R.O. Keohane & C. Sabel (2014), ‘Global experimentalist governance’, British Journal of Political Science, vol. 44, nr 3, p. 477–486, http://doi.org/10.1017/S0007123414000076. OCDE (2018), ‘The contribution of trans-governmental networks of regulators to international regulatory co-operation’, by Céline Kauffmann & Jeong Rim Lee, GOV/RPC(2017)4/REV2, 30/III/2018. Ortega, Andrés (2016), ‘Lessons from the Paris Climate Summit: the inductive global governance’, Global Spectator, Elcano Royal Institute, https://blog.realinstitutoelcano.org/en/lessons-from-the-paris-climate-summit-the-inductive-global-governance/. Slaughter, Anne Marie (2015), ‘The Paris approach to global governance’, Project Syndicate, https://scholar.princeton.edu/sites/default/files/slaughter/files/projectsyndicate12.28.2015.pdf.